I feel like I need to embrace my new home country a bit more and learn to enjoy pure malt whisky. Ben likes the peaty stuff and so that’s what we mostly have in the house. I decided to give some of this a try, watered down with soda water. 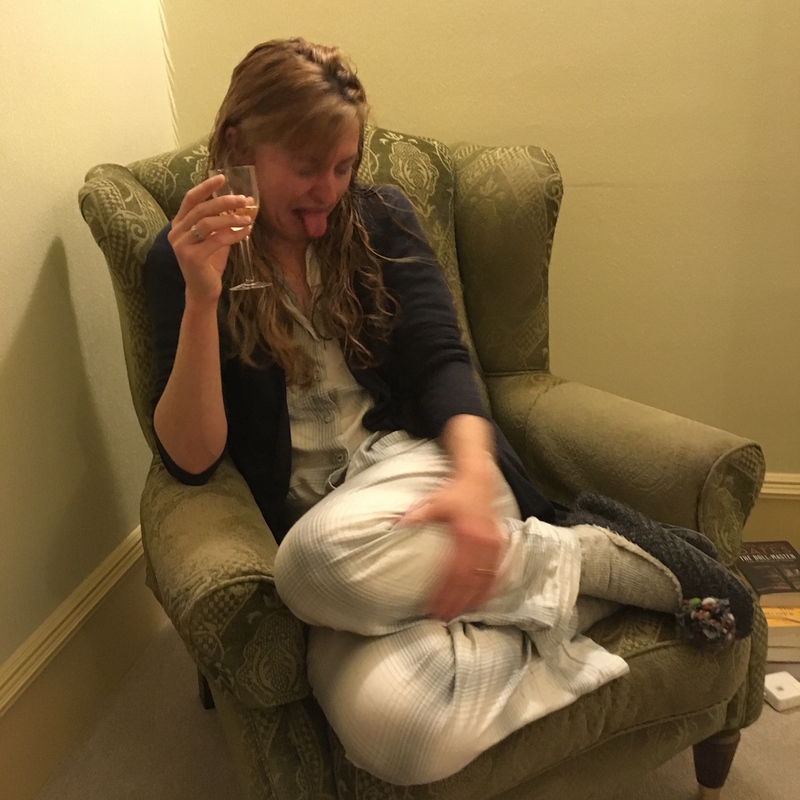 I’ve got my armchair, pajamas, and slippers. Everything is perfect. But this stuff is really disgusting. It tastes like industrial cleaner. I’ve heard people say it’s an acquired taste but then how did the very first person figure that out? Did they force themselves to drink it over and over again until it tasted good? 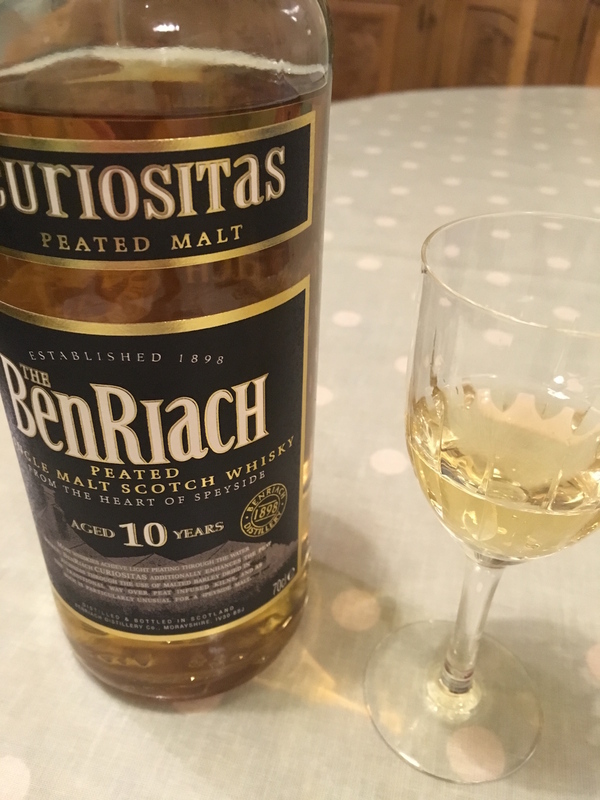 Posted in Journal and tagged Ben Riach, pure malt, Scotland, whisky. Bookmark the permalink. You’re so funny … enjoy blogs, like this. I’ve got kinda the same thought … how did they acquire the taste? I’d probably make the same face. Can’t even see how I acquired the taste of beer … Had a beer for the first time in 2 years about a month ago … yuck! I used to like this stuff? I quite like the taste of beer but I used to have sips of my dad’s beer when I was a kid. Maybe that’s what the Scots did with whisky? I have read that they used to put some in babies’ bottles as a way to put them to sleep! It is a bit of an acquired taste, but then you were drinking a peated malt with soda water :-). I would recommend Highland Park, 12 year old, with – maybe – a dash of water. Ok, next time I’ll try water and something less peaty. I have to use up some Coca cola from the kids’ New Year party, and am about to mix it with whisky, the cheap stuff though. I’m not sure whether this makes it better or worse for Ben. Have you always liked whisky? What about the very first time you tried it? Ha ha I almost choked! In fact I think I choked just on the fumes. I love single malt whiskey but not the “peaty stuff” and would never consider mixing with soda water. I would have the same reaction as you. I have a bottle of 12 year GlenDronach in the house now, and mix it with a little distilled water only. Ok, everyone is saying water is the way to go so I’ll try that next time. By the way, I’m on a whiskey diet. I’ve lost three days already! Lastly,” There is no bad whisky. There are only some whiskies that aren’t as good as others”- Raymond Chandler. Erratum: “whiskies” , should be ” whiskeys”. Wine gives me headaches. It’s the sulphites they put in wine that do it so I never touch it now. Definitely water instead of soda water. I much prefer rum but am starting to appreciate whisky. To be honest , though (and don’t tell Clicky Steve!) I think I prefer Irish whisky (at least the ones I tried while in Dublin). “Powers Three Swallows” especially is very smooth and nice. The Scots drink whisky and the Irish drink whiskey. I tried it again tonight but this time with water and it was slightly more palatable. Hi Rachel, this is the stuff I hear all the time – I love to hear it. Of all my friends I’ve only failed to convert one. Oh, and my wife, which is telling. But then she’d drink my whisky. Stick with it, the aroma is a huge part of the pleasure – and women are better at that. Try a softer malt, or perhaps Monkey Shoulder (a blend of three single malts and widely available at a good price). Once you get a taste for whisky it becomes all about the flavour. Enjoy! $5 million up for grabs!